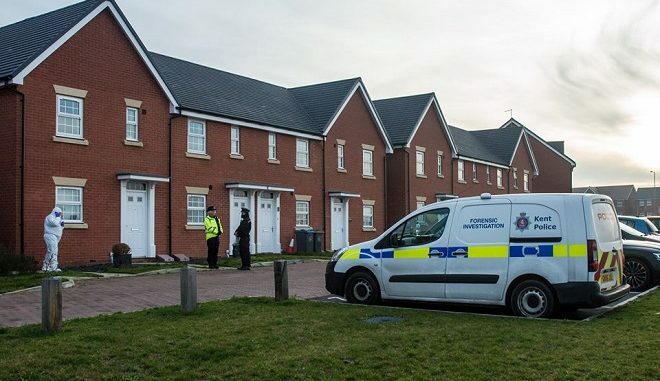 Detectives from the Kent and Essex Serious Crime Directorate have arrested a woman on suspicion of murder following the deaths of two children in Margate (Westwood). At around 3.35am today (December 27) officers attended a property in Castle Drive, (Westwood) due to concerns for the welfare of the occupants. The South East Coast Ambulance Service also attended and two young children were taken to hospital, where they were later declared deceased. Police, including forensic officers, remain at the scene and a 37-year-old woman from Margate has been arrested on suspicion of murder. The woman had been involved in a road traffic collision on the A299 Thanet Way at around 2.50am and was taken to hospital with minor injuries. She has now been discharged and taken into custody at a police station.